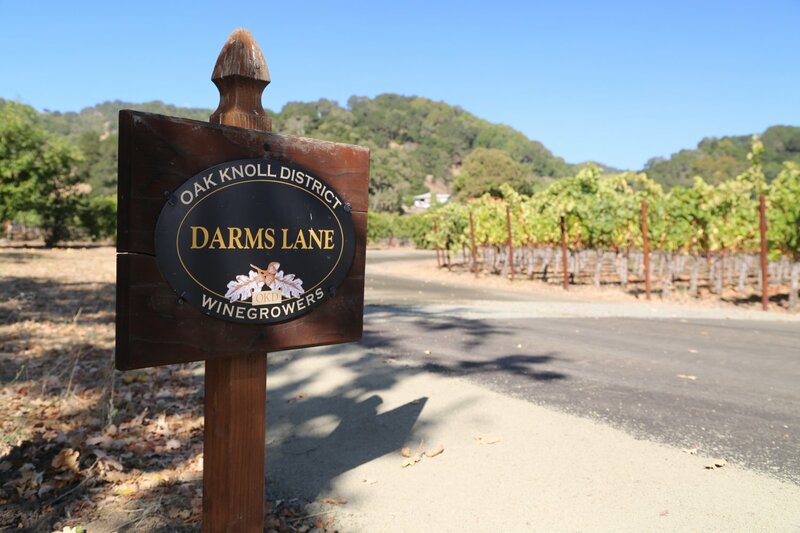 Darms Lane Winery as the name indicates is located on Darms Lane in between Yountville and the city of Napa (just west of Highway 29). While perhaps not recognizing this name one may be familiar with Crichton Hall. 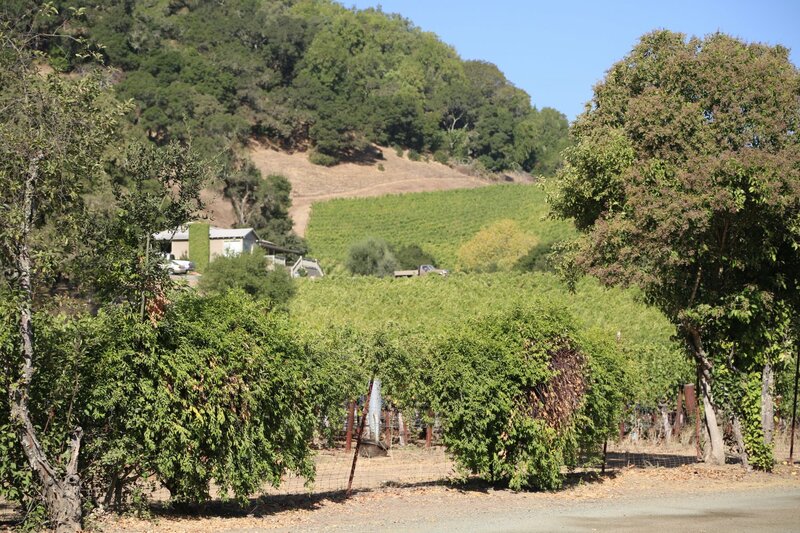 Darms Lane was previously Crichton Hall; Crichton Hall’s own vintage history dates back to 1983 making this among the older active producers in the Napa Valley (still farming the same vineyard). 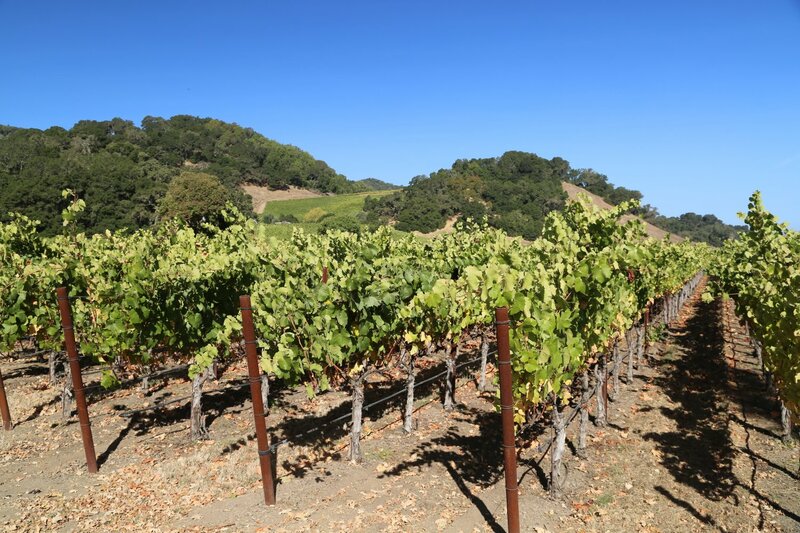 What today is called the Bon Passe vineyard was originally planted in the late 1970’s and was owned by Gil Nickel of Nickel and Nickel & Far Niente Wineries. 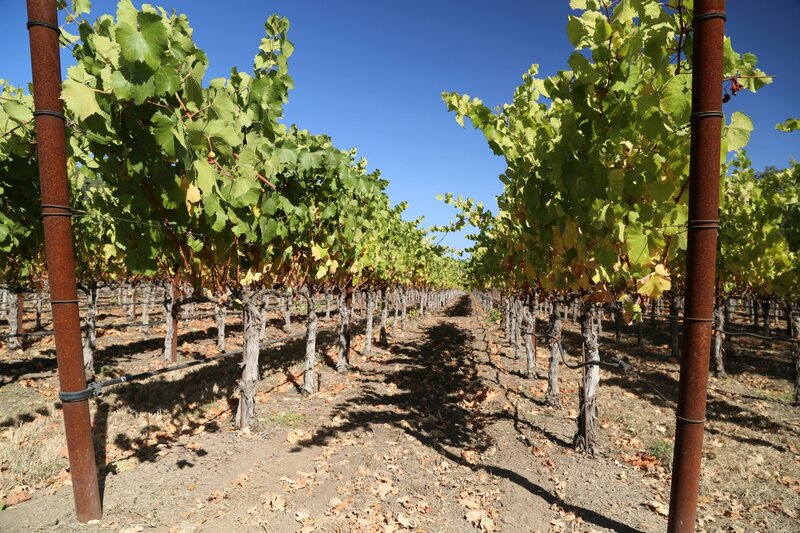 For many years the vineyard was planted entirely to Chardonnay. 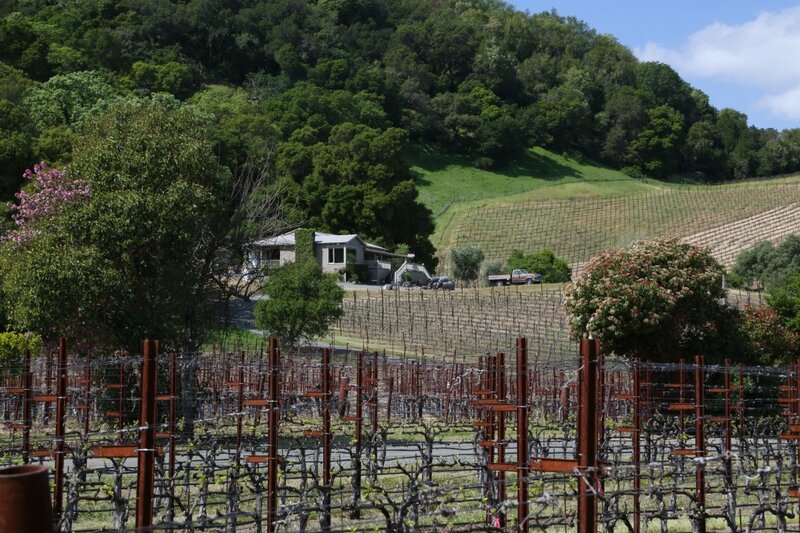 In the early 2000’s the vineyard needed to be replanted and up stepped one of the limited partners, Larry Bump who bought out the rest of the partners and became the sole owner. 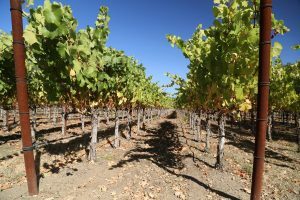 At this time the vineyard was replanted to several Bordeaux varietals including the majority to Cabernet Sauvignon (various clones). This is very much a family owned and operated business. Today, Larry’s daughter Tricia is the General Manager and is who we met with for this review. Prior to joining Darms Lane, Tricia like her father also graduated from Oklahoma State University; she earned her BS degree in Management Information Systems from Oklahoma State University in 1994; her previous career was as a computer programmer. Her sisters are also involved in the sales and marketing of the wines. Larry’s background involved operating an International oil pipeline company (he was Chairman and CEO of Willbros from 1980 through 2002) and he also owned a cattle and horse ranch in Oklahoma. 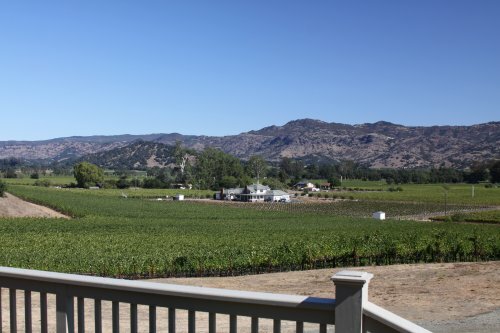 His initial investment in Crichton Hall was because of his interest in wine but little did he know that this initial investment would lead him more seriously into the wine business. From “pipes to wine” upon his retirement, this is certainly one of the more interesting transitions into Napa winery ownership. Well regarded winemaker Brian Mox has made all their vintages. 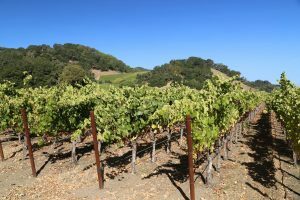 Brian was the first winemaker at Laird Family Estates (a very popular custom crush facility in Napa) and as a result the Darms Lane wines are currently made there. For several years after the replanting no wine was commercially produced from Crichton Hall and the name change officially came in 2008. The first vintage of Darms Lane was from 2005. 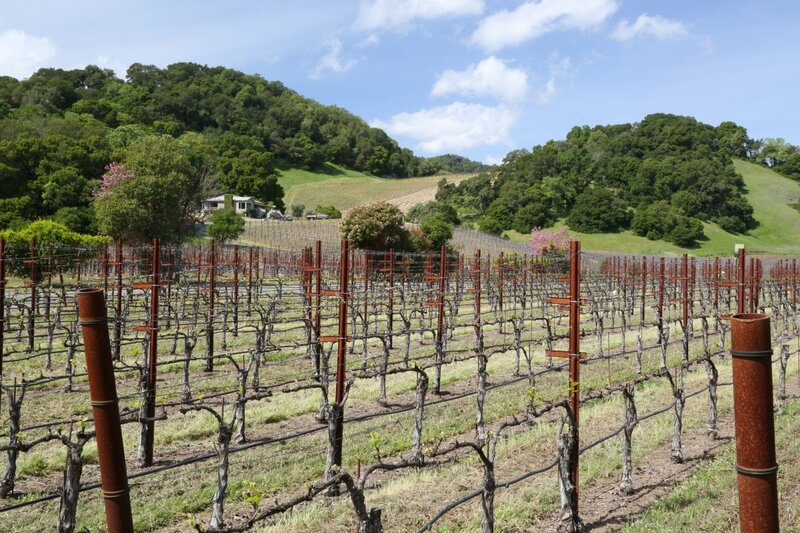 The vineyard is nestled against the southern hills of the Mayacamas Mountains right at the northern edge of the Oak Knoll District. 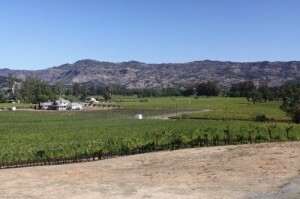 This is an excellent vineyard neighborhood as several wineries and producers are located nearby including Trefethen, Groth, Shiflet Estate and formerly Dr. Peterson’s unique and treasured Wrothem Pinot Noir vineyard. 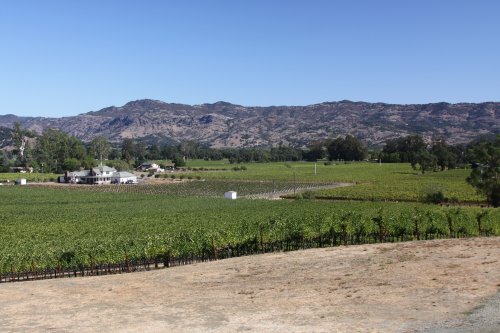 The Darms Lane property encompasses 50 acres of which 14 are currently planted to a variety of Bordeaux red varietals. The vineyards include a nice mix of both benchland as well as hillside. 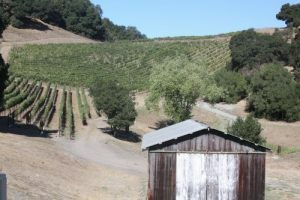 This is the southern part of the Mayacamas mountains and its benchland soils start approximately in this area and run all the way up to near St. Helena. These soils have formed during millions of years through erosion. As a result, the soils are composed of both gravel and loam and provide excellent drainage. The focus of their production is on estate wines, specifically on a 100% Cabernet Sauvignon; however they do make much smaller productions of a stand alone Petit Verdot and a Cabernet Sauvignon from “Linda’s Vineyard” and Pinot Noir and Chardonnay that they source from premium vineyards in Carneros. The 2007 Darms Lane Cabernet Sauvignon Linda’s Vineyard was the first such vintage of this wine. After it was released, $25 from every bottle was donated to the Ovarian Cancer Research Fund. 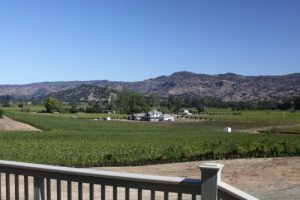 The vineyard and wine is named in honor of Tricia’s mother Linda who passed away several years ago from Ovarian Cancer. The 2005 Bon Passe Vineyard Cabernet Sauvignon is dark ruby in the glass. The nose is very aromatic with pleasing floral characteristics and an aroma of chocolate as the wine opens up. The palate leans more towards displaying dark fruit including black cherry and black currant. A dustiness or smokiness forms on the edge of the palate and shows from the start to the finish. The mouth feel is soft and medium to full bodied in structure. The tannins are supple, smooth and balanced. We also had the privilege of trying the 2006 and 2007 vintages of the Bon Passe Vineyard Cabernet Sauvignon. These wines are consistent in quality and all show a pleasant earthy or dusty quality. The 2007 incorporated fruit from their hillside knoll. This bouquet is dark and brooding leading to a rich layered juicy palate. This is a wine that has a lot going for it in terms of complexity of flavor and it will be very interesting to see how it develops over the next few years. It should also be noted that we tried this soon after bottling and at the time, wasn’t yet released. In 2017 Darms Lane hired one of California’s most prominent and revered label designers, Chuck House to redesign their wine labels. In our humble opinion, Chuck House of Icon Design Group, along with Pate International, and Vanderbyl are the top three contemporary wine and design companies used by premium Napa based producers.